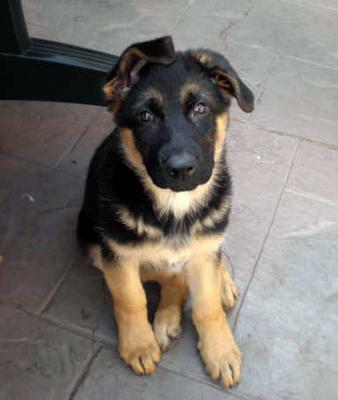 Comments for Is it true - German Shepherd puppy's feet are an indicator of adult size? From my experience the size of the parents is the best indicator to go by. Also, as the dog develops the grow plates on his forearms will smooth out. Once they are completely flat, your dog is full grown. Again, this is my understanding from owning shepherds and other breeds.